Fiji resorts with meal plans are located throughout the Fijian islands including the Mamanuca Islands and on the Coral Coast and range from 3.5 stars to 4.5 stars. Fiji resorts with meal plans offer a variety of different plans at different pricing, allowing you to customise your holiday package to suit your budget and appetite. Choose from all meals all day to a selection of meals like just breakfast, lunch only, just your dinners or your own combination of any of the above. From simple meals to full buffets, a la carte options and even 3 course meals, Fiji resorts with meal plans offer excellent value for money. Located in the Mamanuca Islands, Castaway Island Fiji is one of the most popular Fiji resorts with meal plans and offers a choice of hot and cold full buffet breakfast, a la carte menus for lunch and dinner at all onsite restaurants as well as all theme night buffets. Located on the Coral Coast, Fiji Hideaway Resort & Spa offers meal plans for both lunch and dinner including 2 courses of your choice of entrée and main or main and dessert, served in the Chief's Restaurant. A beverage package is also included which offers a selection of local beer, wine and spirits as well as soft drinks. Located in the Mamanuca Islands, Lomani Island Resort offers lunch with a choice of a main meal or snack plus side dish and dessert as well as dinner offering an entrée or soup, main meal and dessert at Lomani's Flame Tree Restaurant. 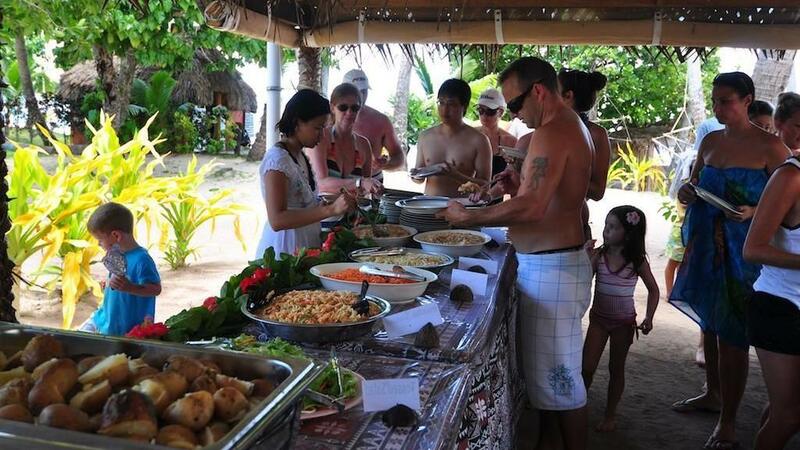 Also located in the Mamanuca Islands, Malolo Island Resort offers hot and cold buffet breakfast daily, lunch daily at either the Terrace or Beach Bar Restaurants and a 3 course a la carte dinner or themed buffet night.